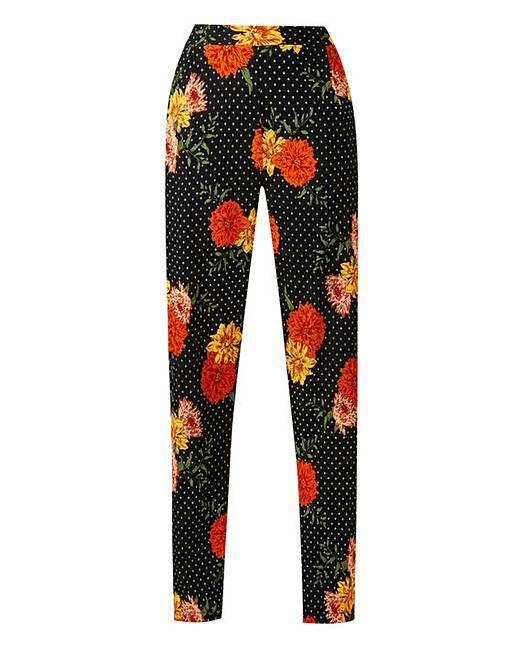 Floral Crepe Tapered Leg Trousers is rated 4.5 out of 5 by 2. Soft textured crepe fabric in a fab floral print design. Tapered feminine leg shape. Back elasticated waist and flat front for fit. Two front slant pockets. Easy-to-wear pull-on style. Rated 5 out of 5 by Lou from Good colours I bought these for a spring party the were just perfect.